Honor 8 Smart Launched: Specs, Price, and Availability. Like I previously mentioned in my Honor Holly 3 post, I was lucky to be a part of the Honor 8 launch event in Delhi & have a look at the Honor 8 at the day itself. But the thing that most of us from Media didn't know was about two unexpected devices launched alongside the Honor 8. First was the Honor 8 Smart, while next was the honor Holly 3. I've already covered about the Honor Holly 3 on my blog, So you can have a better perspective about that device if that price segment sits in your smartphone consideration. For now, let's discuss the new Honor 8 Smart, Quite frankly it could be called as a stripped down version of the Huawei P9 having the specifications of Honor 5C with few minor changes. It comes with a 2Ghz Kirin 650 Octa core processor with Mali T830 GPU. It comes with surprisingly less ram which is 2GB RAM and 16GB Internal storage with expansion available up to 128GB via MicroSD memory card slot. 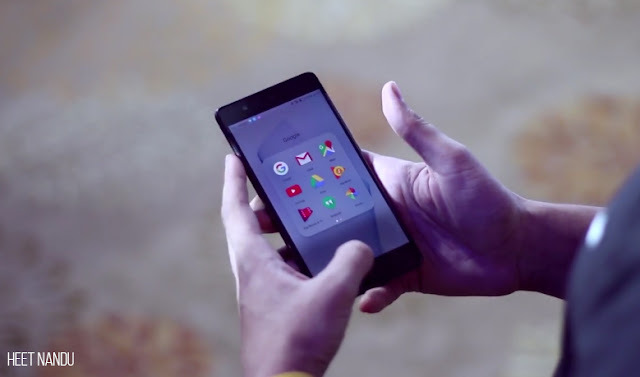 It sports a 5.2 inch IPS LCD 1080p display panel giving it a pixel density of 424ppi. Speaking of Camera's, the Rear Camera is a 13MP Sony IMX214 sensor so expect some good light shots with it. When it comes to the front camera, It is an 8MP shooter with fixed focus lens. It supports 802.11 Wi-Fi b/g/n, Bluetooth 4.0, 4G Bands and the usual set of sensors including a fingerprint scanner on the back. It houses a 3000mAh non-removable Li-ion battery due to the aluminum unibody design. It runs on Emotion UI 4.1 built on top of Android Marshmallow 6.0, While Honor guarantees about software upgrades in future. It is available in 3 colors viz. Black, White, and Gold. So the company has given it a kind of interesting price tag which is Rs.19,999 INR which is wildly pricey in my opinion. Since considering the specs, It's almost the same as the Honor 5C launched earlier this year although now cramped into a unibody chassis. The Company hasn't given an exact date about the Honor 8 Smart's availability or when would it be released, But expect it to be released by next month. As of now, Only Honor 8 is available exclusively via Flipkart, Amazon, and their Honor Store. So keep an eye on this post or our Twitter to be the first to know when this gets announced. Honor 8 Smart: Is it Smart when it comes to price? Well judging from the specifications itself, It is clear that everything from its hardware specs matches with their existing device, the Honor 5C. If we strike out the Camera Sensor and the Design; Everything is virtually the same. I feel that it looks a lot like the Huawei P9 having the specs of the Honor 5C. But, Is it BAD? Well, Nope. Don't get me wrong; The Honor 8 Smart doesn't give up on the performance anywhere in my actual usage at the event. That being said, I've used my friend's Honor 5C for about odd 2 hours, and I felt few minor lags here and there. So it'll be tough to judge the performance within a less usage of time on the Honor 8 Smart, I'll cover this up in my full review soon. 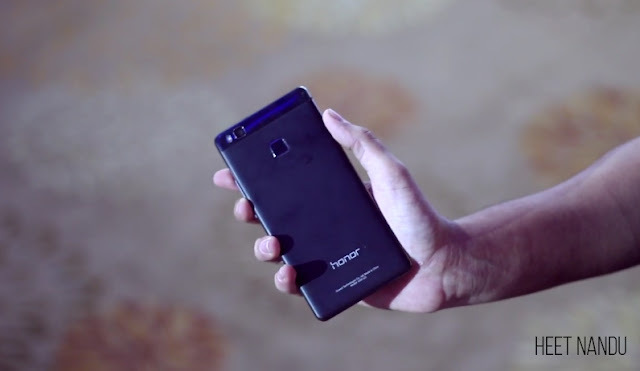 Though Honor 8 Smart's design is quite nice and it's good to see that they haven't implemented all glass back panel like the honor 8. It almost has a matte appeal, and It gets good ratings in this area from my side. Fun Fact: It Seems like they replaced One Camera Sensor from the Huawei P9 and tossed a LED Sensor in that place. Camera performance is excellent according to the photos I was able to click in low lighting conditions at the event. Those came out pretty nice with less amount of noise and good saturation levels. The camera interface is exactly same to its superior cousins - Huawei P9 & Honor 8. 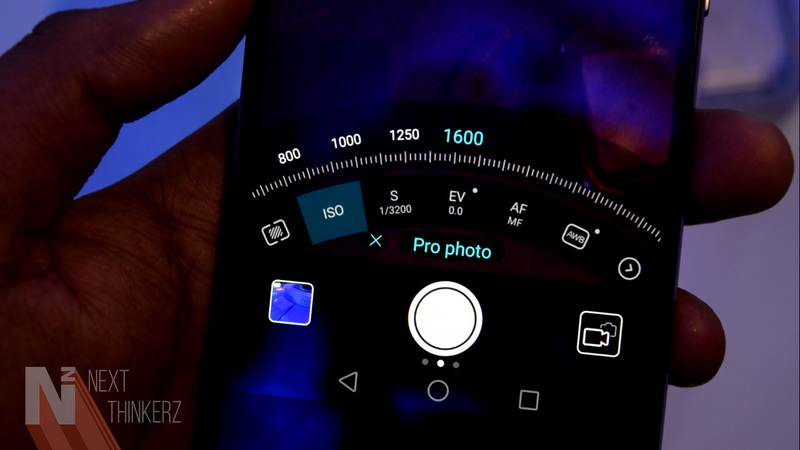 The Pro mode is a great feature to have while snapping that perfect shot during low lighting conditions playing with the ISO and Shutter speed. It almost gets a good shot, but not as high as the Huawei P9. So considering the Camera the pricing might have been amped up a little bit from that of the Honor 5C, But it shouldn't be as much as Rs.19,999 INR in my opinion. Though I would again rephrase, That I've played with Honor 8 Smart for a little while & it's hard to judge a final verdict upon that small span of time. But one thing is sure that it is priced way higher, As competitors are offering up to 4GB RAM in similar price segment. But again, Memory Optimization is an essential task that many companies figure out & Ignore to implement as they just want to launch a device with better specs. So keep an eye on my final review when that pops out, Share this article with your friends if you enjoyed reading it. Also See: Honor Holly 3 Launched - Specs, Price and Availability In India.